“Farewell to Hollywood” – A young woman, who loves movies, decides to document her experience as she battles osteosarcoma at age 16. One and a half months after her 16th birthday, Regina Diane Nicholson, from Long Beach, California, was diagnosed with an osteosarcoma, a malignant, cancerous, bone tumor that usually develops in teenagers and young adults when they are growing rapidly. Many first complain of pain which may be worse at night. Those active in sports, may complain of pain in their lower femur, or right below their knee. A pathological bone fracture may also be a first sign or symptom, as the bones may not be as strong as they normally would be. Regina, or Reggie, handles her diagnosis with maturity and humor, and seeing as she has a passion for films and filmmaking, decides to document her experience, the disease process, and the impact it has on her family, friends, and healthcare providers. In her film, “Farewell to Hollywood,” she compares the anguish she is experiencing, to the intensity, rawness, and violence exhibited in Quentin Tarantino’s, “Pulp Fiction,” often cutting to scenes from the 1994, action thriller. A film enthusiast through and through, Reggie has film posters all over her bedroom walls and even “Made a Wish” with the “Make a Wish” Foundation and was allowed to be an extra on the film set of Kevin Smith’s’ “Red State”. 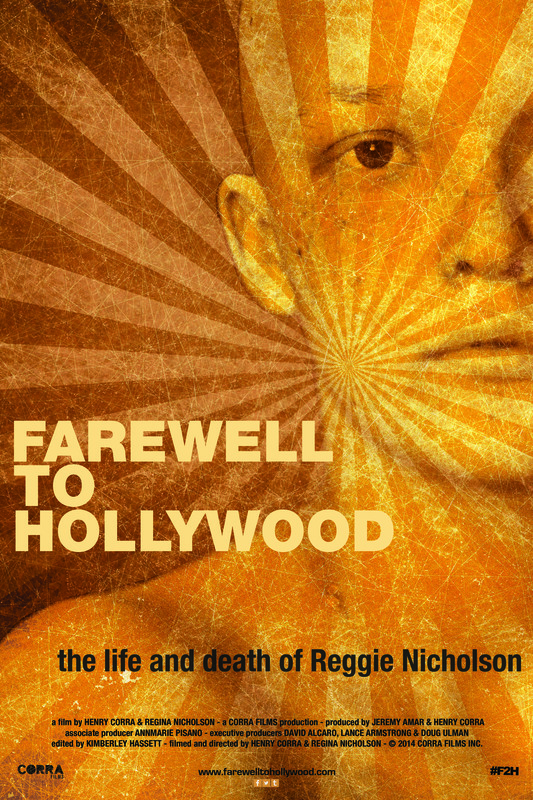 Good natured, with only good intentions demonstrated in the film, Film Director, and co-director of “Farewell to Hollywood,” Henry Corra, met the then 17 year old filmmaker, Regina (Reggie) Nicholson at a film festival, and agreed to help her make her feature film. When Reggie turned 18, her parents had conflicting emotions about her becoming an adult and her desire to branch out, creating an independent life for herself. This would mean she would be moving out of their house, getting her own living and work space, completing the film, all the while, continuing to receive treatment while documenting. Everyone handles stress differently. The film carries the viewer through the difficult decisions that this young adult female has to make. You will see how she copes, the medications that she chooses to take, the surgeries she chooses to undergo, what and who makes her happy, who she appoints as her healthcare proxy, and how she and her caretaker decide to carry out her end of life care. The film should raise awareness to the fact that we should all appoint a healthcare proxy (someone who would make healthcare decisions for you in the event you are unable to make them yourself), even at a young age. In the film, she often shows herself swinging on a swing over a cliff and the sea in Southern California, where she appears to be very free and happy. Regina was a very brave woman who knew who and what made her happy, and how to live life to the fullest. This award-winning documentary has screened at numerous international film festivals including IDFA, Hot Springs Doc Fest and Thessaloniki Documentary Festival. and at the Noho 7 in Los Angeles on Friday, March 13, 2015. A national release will follow. You are currently viewing the archives for February, 2015 at One World Cinema.